Salem, OR—Beginning today, Oregonians can sign up, renew, or change their health insurance plans at HealthCare.gov. They do not have to go it alone: Experts are on hand to provide guidance, and financial assistance is available, too. Open enrollment – for those who buy plans on their own because they do not have coverage through their employer – launches Nov. 1 and runs through Jan. 31, 2017. It opens the door to change plans and, for those who do not have insurance, to buy a plan and avoid a potential penalty on their 2017 taxes. Open enrollment is for individuals. Financial help can offset the rate increases consumers will see as they are shopping for 2017 plans. 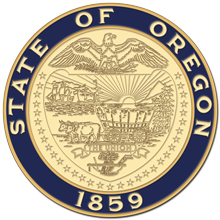 In Oregon, the average rate increase is about 27 percent – although many consumers will see higher rate increases depending on their plan. Of the nearly 132,000 Oregonians enrolled in individual coverage on the marketplace in 2016, about 95,000 of those consumers received financial help. The average premium tax credit they received was $250 per month. Federal data show that 62 percent of current Oregon marketplace consumers could obtain coverage for $100 or less after applicable tax credits in 2017, regardless of the health plan metal level. Help with out-of-pocket costs, such as co-pays and deductibles, is also available on some silver-level plans for those who qualify. It is important to note that an additional 98,000 Oregonians buy individual plans outside the marketplace where they have no access to financial help. Allen said it would be worthwhile for those consumers to see if they qualify for financial help on the marketplace. Oregon has a network of insurance agents and community organizations ready to help people enroll. You can find an agent or community partner in your area by going to http://www.oregonhealthcare.gov/get-help.html or calling the Oregon Health Insurance Marketplace at 1-855-268-3767 (toll-free). While open enrollment lasts through Jan. 31, 2017, you need to apply by Dec. 15, 2016, if you want to ensure you have coverage on Jan. 1, 2017. Most consumers who already have insurance through HealthCare.gov or directly through an insurance company will be re-enrolled in their same plan if they do not act by Dec. 15. The new open enrollment season arrives as more Oregonians than ever have insurance coverage, thanks to expansion of the Oregon Health Plan and subsidies to help pay for commercial health plans. Oregon's uninsured rate stands at 5 percent.